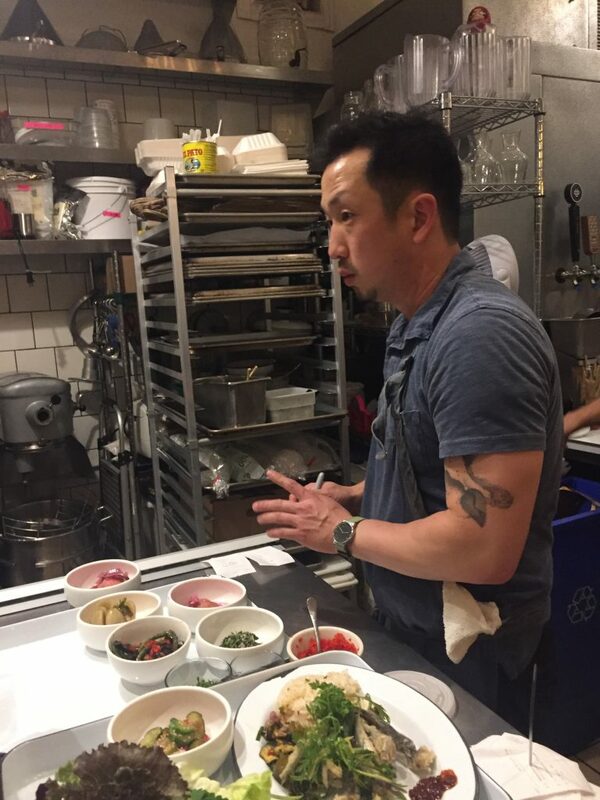 Nokni is the name of a Korean Pop-up restaurant from the dynamic duo Chefs Julya Shin and Steve Joo. 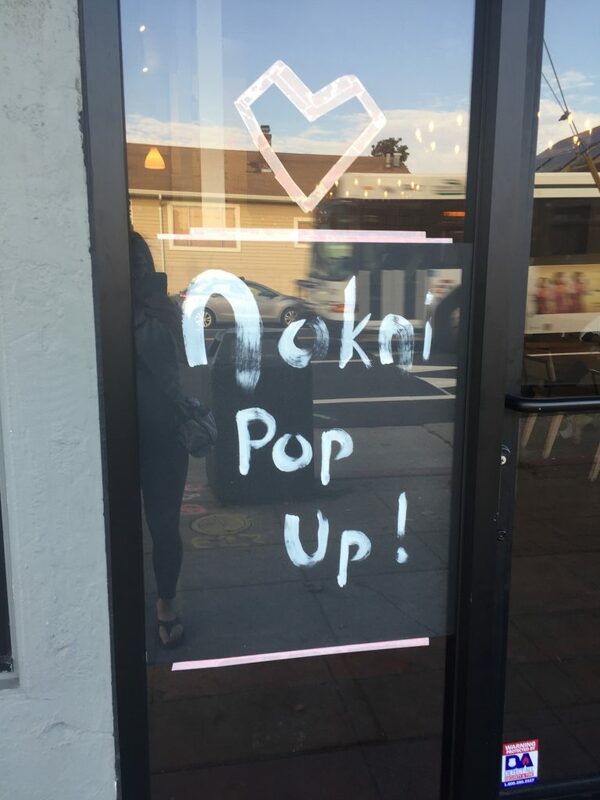 Many may know Nokni as the “Pop-up that got shut down.” On August 21, 2018, after 45 minutes into service, an Alameda County Health Inspector came into the Kebabery in Oakland, the restaurant that was hosting Nokni’s Pop-up, and handed them a notice to Cease and Desist. It was noted that Pop-ups were illegal. 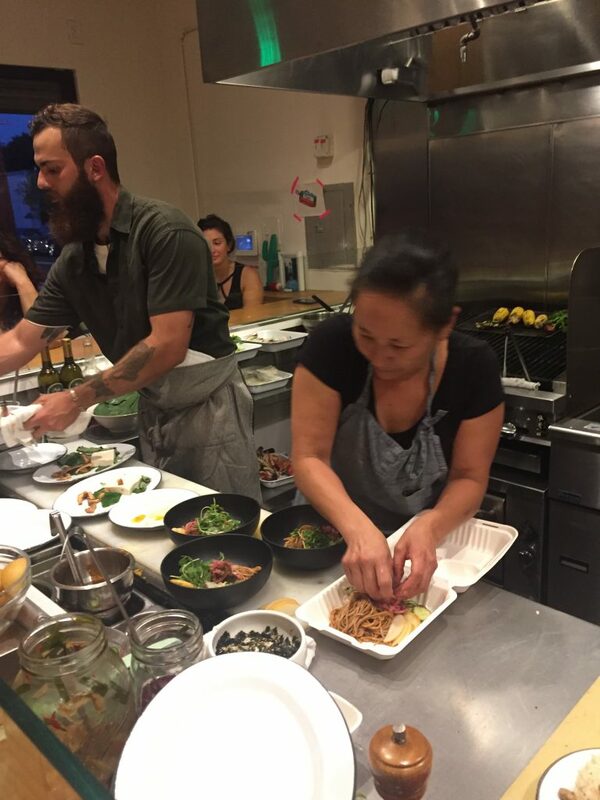 I was shocked when I heard the news, as Pop-up restaurants have been a popular trend in the Bay Area. Many of these businesses are essentially testing a concept without having to make large investments. According to Nokni, Alameda County didn’t have any regulations for Pop-ups because they aren’t included in their “lexicon of legitimate food operations” making it illegal. Nokni did return to the Kebabery last October to finish that Pop-up that they started and my friend and I were present to witness and dine at this event. 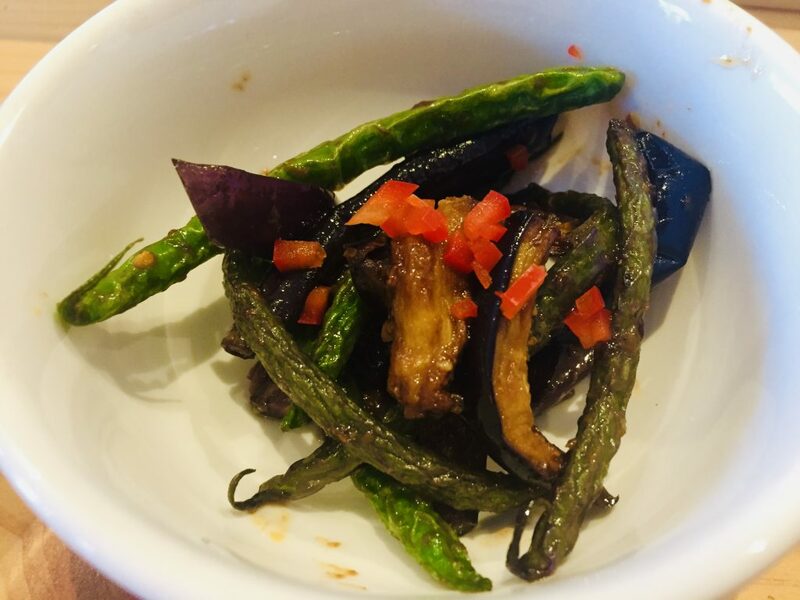 There were three banchans on the menu and we only ordered the fried eggplant and green beans with soy bean paste and perilla seeds. Needing to order and pay for banchan was an unfamiliar concept immediately making me throw out any preconceived notions of Korean food that I had. 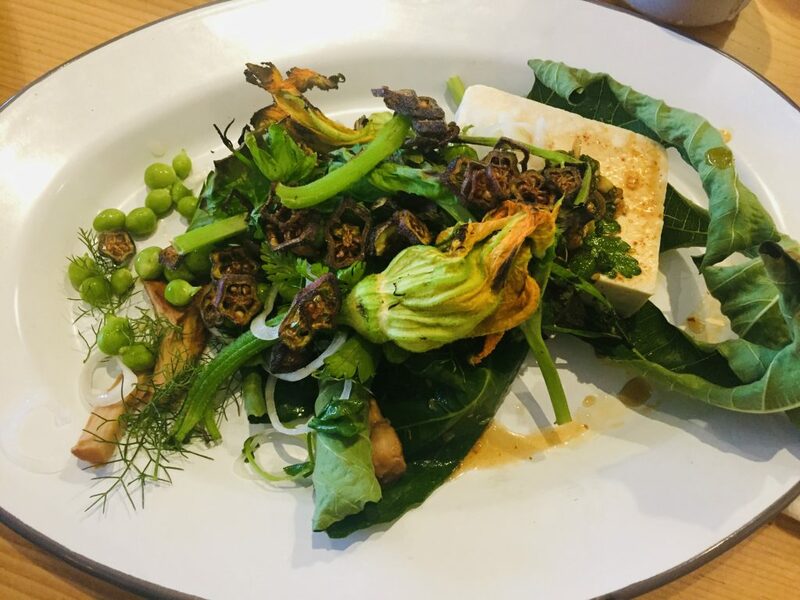 The homemade Nokni tofu came with chanterelle mushrooms, squash blossoms, fresh peas, fried okra, and soy dipping sauce. Sitting at the bar, I watched every vegetable being prepared very carefully. The respect that was paid to the vegetables passed on to me and I felt special eating it. There were two ssam set offerings, one with mushrooms and vegetables and another with fried anchovies. We enthusiastically chose the anchovies. 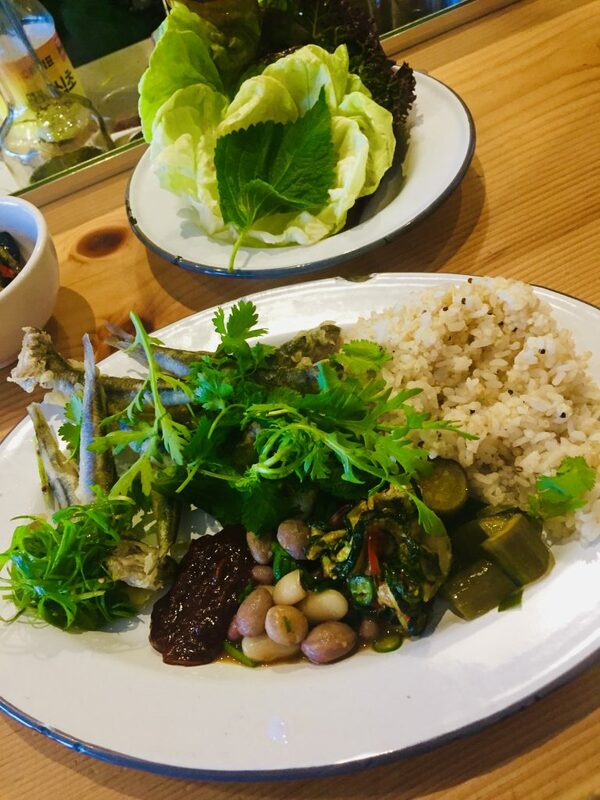 The ssam plate came with multi-grain rice, kimchi, summer squash, shell beans, and butter lettuce. I ate this like a playful lettuce wrap. There were so many interesting ingredients, but still allowed for the anchovies to shine. I loved it. Although my friend and I felt pretty content at this point, we didn’t know when we’d have another chance to eat at Nokni, so we went back in line for more. 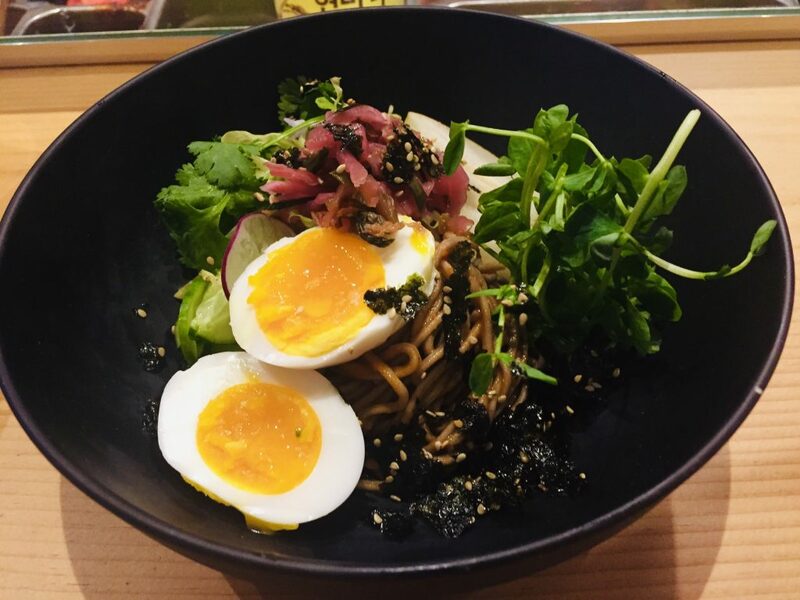 We ordered the Bibam Jooksu which is a bowl of chilled acorn noodles with farm egg, asian pear, cucumber, nori, and red chili sauce. This was another innovative dish that distinguishes Nokni from the Korean food that I know. Months after this meal, I still think about the Nokni Pop-up and look forward to another one tomorrow night at Last Rites, the Tiki Bar in San Francisco. 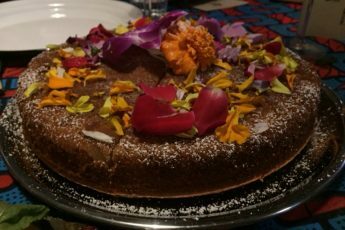 The East Bay Times indicated that San Francisco has a pop-up enforcement program that regulates Pop-ups as caterers so all should be good to go. 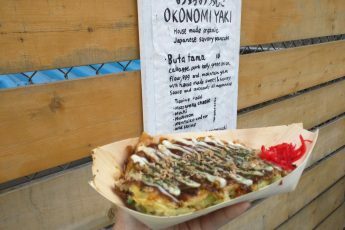 Visit Nokni’s website and sign up to be on their mailing list to stay up to date on where they’ll be popping up next.